An aging IT infrastructure can lead to greater maintenance costs, increased downtime, out of support software and a skill set shortage in the marketplace. Companies have typically operated on a 3 to 5 year server and storage refresh cycle to address the problems associated with an aging IT infrastructure. Before undertaking an infrastructure refresh it is important to understand the business benefits, the costs and most importantly the business risks of undertaking a technology refresh. Keep in mind you may have to purchase some automated tools to support the migration of the data and the applications. Having a good understanding of these factors are paramount to a successful refresh program. 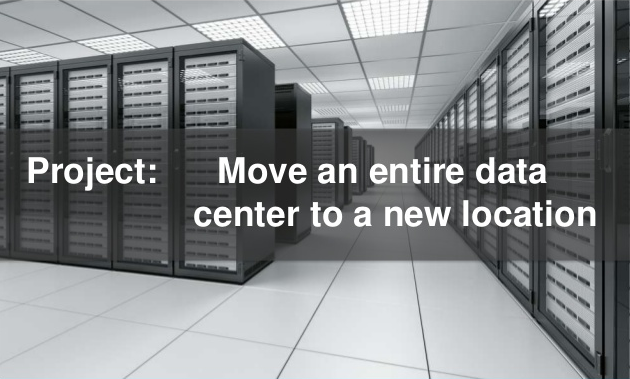 Data center relocations are high risk and a major undertaking for most organizations. Virtually every department in an organization is affected by a data center move.